Everything you need to know about visiting the world’s tallest observation deck. Did you know that Shanghai is home to the world’s tallest observation deck? Whilst the Shanghai Tower may not be as tall as the Burj Khalifa in Dubai, the observation deck in Shanghai is in fact higher than the observation deck in the tower in Dubai. The highest floor of the Burj open to visitors is 584.5 meters high but the top floor of the Shanghai Tower is a little higher at 587.4 meters. Read this article to find out everything you need to know about visiting the world’s tallest observation deck in Shanghai. What is the Shanghai Tower? Where is the Shanghai Tower? How do I get to the Shanghai Tower? What are the opening hours of the Shanghai Tower? How long to spend at the Shanghai Tower? Are there other observation decks in Shanghai? Can I buy food at the Shanghai Tower? Can I stay at the Shanghai Tower? Is the Shanghai Tower good to bring a date to? Should the Shanghai Tower be on your Bucket List? Is the Shanghai Tower a green tower? The Shanghai Tower is the second highest skyscraper in the world. The building reaches an impressive 632 metres and is the third supertall tower in Shanghai. The sightseeing deck on the 118th floor has only been open to the public since April 2017. The Chinese name of the Shanghai Tower is “上海中心” which literally means Shanghai Center. The Shanghai Tower is located in central Shanghai in Pudong. The Shanghai Tower is in the Shanghai Financial District and can be seen from the famous Bund promenade on a clear day. The closest metro station to the Shanghai Tower is Lujiazui Station. There are a few ways to get to the Shanghai Tower. You will probably be staying on the other side of the river to Pudong so the quickest way will be the metro. Jump on Metro Line 2 and get off at Lujiazui Station. Walk towards Exit 6 and walk about 500 meters south to the Shanghai Tower. Alternatively, if you prefer travelling above ground you can hop on a bus to the Shanghai Tower. There are three different routes you can choose from to get to the Shanghai Tower. 1. Jump on the City Sightseeing Bus Line 2. Stay on the bus until you reach the Jin Mao Tower stop. From there you can hop off and walk to the Shanghai Tower within a couple of minutes. 2. Take one of the local buses either the 583, 799, 939 or Lujiazui Financial City Line 2. All of these buses stop at the Huayuan Shiqiaolu Dongtailu Station which is the closest stop to the Shanghai Tower. 3. There are also the buses 791, 870, 961, 985 or Lujiazui Financial City Loop Line which stop at the Lujiazui Huanlu Dongtailu Station. Get off at Lujiazui Huanlu Dongtailu Station and walk to the Shanghai Tower from there. The final mode of public transport you can use to get to the Shanghai Tower is the ferry! Take either the ferry on the Dongjin Line or Dongfu Line and get off at Dongchang Road. From the Dongchang Road you can walk to the skyscraper. The Shanghai Tower address is 501 Yincheng Middle Road, Lujiazui, Pudong, Shanghai. What are the Opening Hours at the Shanghai Tower? The tower opens at 8:30 and closes at 22:00. The ticket office stops selling tickets to the observation deck at 21:30. What is the best time to visit the Shanghai Tower? The best time to visit the Shanghai Tower is late afternoon. Pick a clear sunny day and head up the tower as the sun is just starting to set. By timing your visit to the Shanghai Tower in the afternoon you can enjoy seeing the afternoon sun shine over the city. If you are lucky you may be treated to a spectacular sunset. As the sun has almost set the city lights begin to illuminate the buildings below. Wait until it is completely dark to see the glittering lights and neon signs flicker far below you. It is best to visit the Shanghai tower in late afternoon so you can enjoy seeing the city in both the light and the dark. How long do I need to spend at the Shanghai Tower? You will probably want to stay between one and two hours on the observation deck on the Shanghai Tower. In terms of other attractions in Shanghai, this is one of the most expensive things to do in Shanghai. Therefore, to make the most of your money you will want to spend at least an hour up there! For more Shanghai inspiration check out this ultimate Shanghai Bucket List! Alternatively if you prefer exploring off the beaten track click here to see a list of quirky and unusual things to do in Shanghai. After you have purchased your ticket a photo of you will be taken before you have the option to visit the exhibition or head straight up to the observation deck. There is an exhibition floor on floor B1 to visit before you head up the express elevator. You must visit the exhibition at the start of your visit. When we wanted to visit the Shanghai Tower exhibition on B1 at the end of our visit we were not able to as you are ushered through the gift shop towards the exit instead. You can spend a little while at the exhibition learning all about the Shanghai tower then you can head up the express elevator. The express elevator really is speedy! Once the fasted elevator in the world, it has since been over taken by the Guangzhou CTF Finance Centre it reaches speeds of 74km/h (45.9 mph). This means you reach the site seeing deck from the street level within one minute! For those with sensitive ears, your ears may pop as you rocket your way skywards in the lift. After your 55 second vertical journey you will arrive on the 118th floor. From here there are incredible 360-degree views across the Chinese metropolis. You can see out to the Pacific Ocean in the East rand over to Hongqiao airport in the West. You soar above the Oriental Pearl Tower, the World Trade centre and the Mao Tower which are also in the Shanghai financial district. Once you have admired all of the views and taken many photos, you will want to go and get a good seat. Most of the best seats may have been taken but if you can find a spare space by a window facing Westwards sit down there and wait for the show to begin. If your visit is on a clear sunny day you can watch the sunset from your window seat. Enjoy seeing the sky light above with golden rays. Wait a while until the sun has almost set and the city lights begin to turn on. Shanghai begins to light up and sparkle in the darkness. You will enjoy seeing the city twinkle and when your tummy begins to rumble you know it is time to leave. How much does it cost to visit the Shanghai Tower? It currently costs 180 CYN to visit the Shanghai Tower for adults. For children between 1 and 1.4m the price is 90 CNY. The Shanghai Tower is free to visit for children under 1m. This is one of the pricier activities to do in Shanghai but the experience of seeing the vast city from high above is quite spectacular. Also, the total cost of the Shanghai Tower came to around $2.4 billion meaning they are probably trying to make some of that back. Are there other skyscraper observation decks in Shanghai? There are several observation decks you can visit in Shanghai on other skyscrapers. Whilst the Shanghai Tower observation deck is the highest in Shanghai you can also visit the Oriental Pearl Tower or one of the Shanghai Tower’s ‘sister towers’ in the Shanghai financial district. The sister towers are the Jin Mao Tower and the World Trade centre tower. City plans from 1993 reveal that it was intended to create three super tall towers in the Lujiazui financial district on the east bank of the Huangpu River. Jin Mao Tower opened in 1999 and the Shanghai World Financial Center opened in 2008. It costs the same to visit the Shanghai World Financial Centre as it does the Shanghai Tower at 180 Yuan. The Jin Mao Tower observation deck is slightly cheaper at CNY 120 for adults and CNY 60 for kids. No, there is no where to buy food at the Shanghai Tower. Bring little snacks or eat beforehand. Can I stay in the Shanghai Tower? Yes you can stay overnight in the Shanghai tower! The Shanghai tower actually contains the highest hotel in the world. Between the 84th and 110th floors of the Shanghai Tower is the J-Hotel. The J-Hotel is run by a Chinese brand, Jin Jiang International Hotels. When the tower was completed the J-Hotel was the highest in the world, higher than the Hong Kong Ritz Carlton and the Park Hyatt Shanghai in the Shanghai World Financial Center. Is the Shanghai Tower good for a date? Yes, the Shanghai Tower is perfect to take a date too! As Alex was leaving Shanghai, we went up the Shanghai tower during his last week in the city for the ultimate date. Watching the sunset from the Shanghai Tower is very romantic. In fact it must be one of the most romantic sunsets in the world. For more romantic destinations in China check out this post about some of the best places to visit in China! 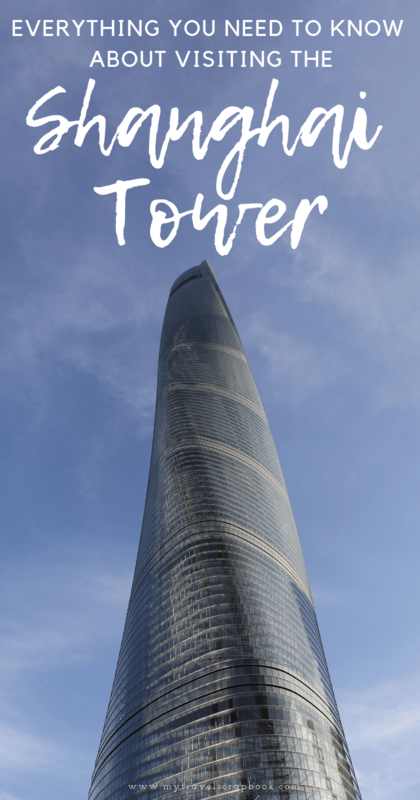 Should the Shanghai Tower be on your Shanghai Bucket List? The Shanghai Tower should be on everyone’s Shanghai bucket lists. Whilst it is certainly not a budget activity, you will remember the epic views and the sunset forever. See this post for quirky and unusual things to do in Shanghai! Is the Shanghai Tower a ‘green’ Tower? When the Shanghai tower was completed it was seen as an encouraging symbol of China’s new commitment to environmental friendliness. Several of its elements were designed in order to minimise the tower’s environmental impact. The Shanghai Tower’s design firm proclaimed the building as “the greenest super high-rise building on earth.”. It is said the 120° twist is intended to reduce wind loads on the building. This allowed the construction team to use considerably less steel. Furthermore, there are more than 200 wind turbines installed at the top of the Shanghai Tower. These wind turbines are used to produce energy for the Shanghai Tower such as illuminating the building. Do you want to visit the Shanghai Tower? Have you been inspired to visit the Shanghai Tower? Please let us know if you have in the comments below or ask anymore questions you may have regarding visiting the Shanghai tower. 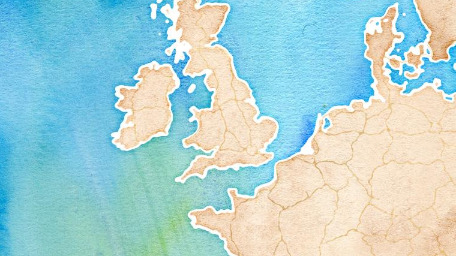 thank you for a very detail post. I actually have never been to ShangHai, but it is on my list, and I really impressed with the Shanghai tower pictures. I would love to save your post for my future’s trip. We went up the tower a couple of years ago but alas, the wretched fog prevented us from seeing as far as we could.